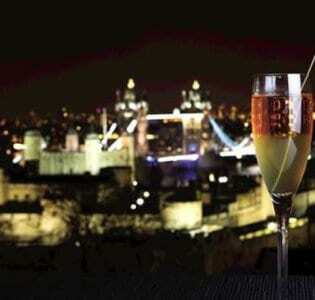 Combine the drama of the London skyline with a classy champagne cocktail or two, and you have Vertigo 42 in a nutshell. 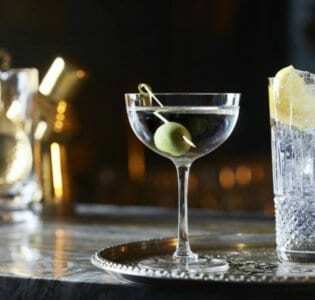 Located on the top floor of Tower 42 in London, the bar promotes itself as a destination champagne bar and in that respect does not disappoint. 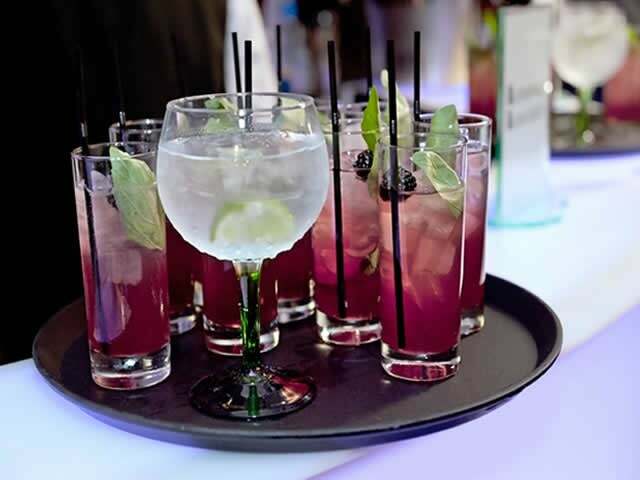 Londoners and tourists alike visit for the experience of quality drinks in a chic and sophisticated bar with views to die for. A glass table lines the windows around 3 of the building’s 4 sides, so that as many customers as possible can enjoy the view from the comfortable and colourful chairs. Floor-to-ceiling windows and mirrored walls on the interior enhance the emphasis on the exterior rather than the interior. All eyes are drawn outwards. This champagne bar has a good solid selection of delectably high-end champagne cocktails to choose from. The classic Bellini does not disappoint. For something new, try the refreshing Elderbubble, or the Lychee and Hazelnut which is a variation very much worth a mention. Alternatively, try one of their champagnes from the extensive list in its unadulterated glory whilst simultaneous savouring the views. On the food front, the choice is much more limited – but Vertigo 42 is not presenting itself as a restaurant. The tapas style menu serves up a combination of British and European influenced nibbles, ranging from pork pies to Kalamata olives, all very stylishly presented. 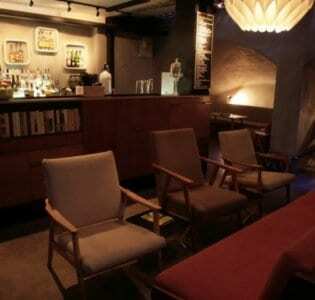 Spontaneous visits to Vertigo 42 are not allowed; the bar operates a strict reservation-only system. The small print also reveals that each reservation is on the condition of a minimum spend of £15, but unless you are visiting alone it would be nigh on impossible to spend less. Take a date, dress smart, and feel like you are truly living the highlife.